Olivia Sedwick, student government president of Winston-Salem State University, and Tom Hanchett, historian of the Levine Museum of the New South, offered perspective about voting rights. 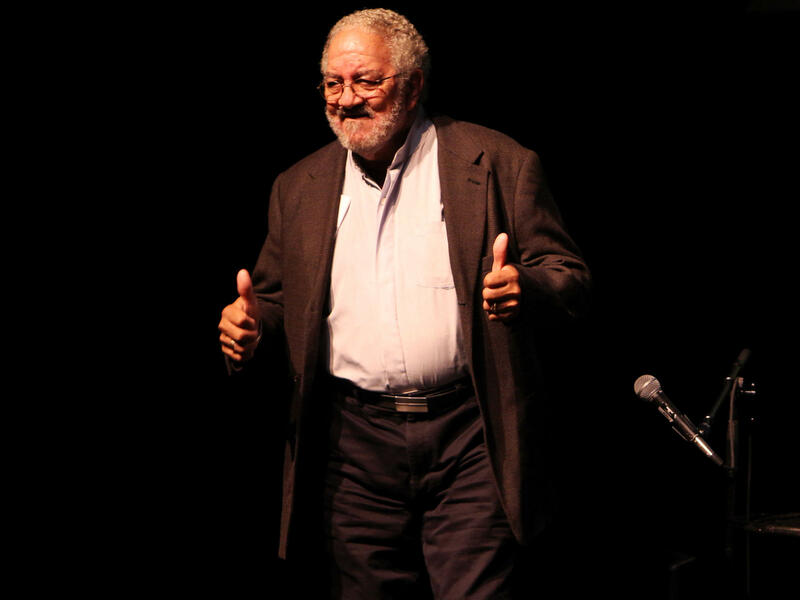 Civil rights activist Charles Jones began the discussion when he shared a few of his personal experiences. 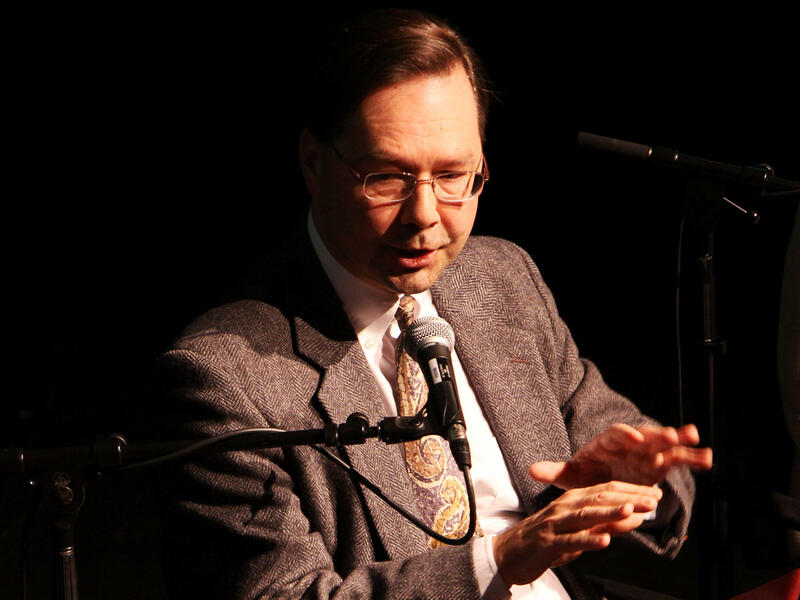 Hans von Spakovsky, manager for Election Reform Initiative and senior legal fellow at the Heritage Foundation, and also a former member of the Federal Election Commission. We heard from 77-year-old Charles Jones. He was heavily involved in voter registration efforts during the civil rights movement in 1960s. Jones shared a poignant story about a meeting he helped organize in Terrell County, Georgia to help African-Americans get comfortable with voting. The sheriff - also the local Ku Klux Klan leader - interrupted the meeting, but Jones emphasized the importance of standing up for yourself and making your voice heard. "We have the option to help define our own lives," Jones said. "Involve yourself in learning from a factual base. Don't let anybody tell you what you ought to be doing, ought to be thinking." Hans von Spakovsky is the manager of the Election Reform Initiative at the Heritage Foundation, and the co-author of Who's Counting? : How Fraudsters and Bureaucrats Put Your Vote at Risk. He says the biggest reasons people fail to vote are not restrictive voter laws, but apathy and dissatisfaction with the candidates. "The Census Bureau does a survey of non-voters and the biggest reason people don't vote has nothing to do with procedural issues...how you register, it's because they are not interested in politics, and they don't think their vote will make a difference, and they don't think that the candidates will really do anything for them," he said. 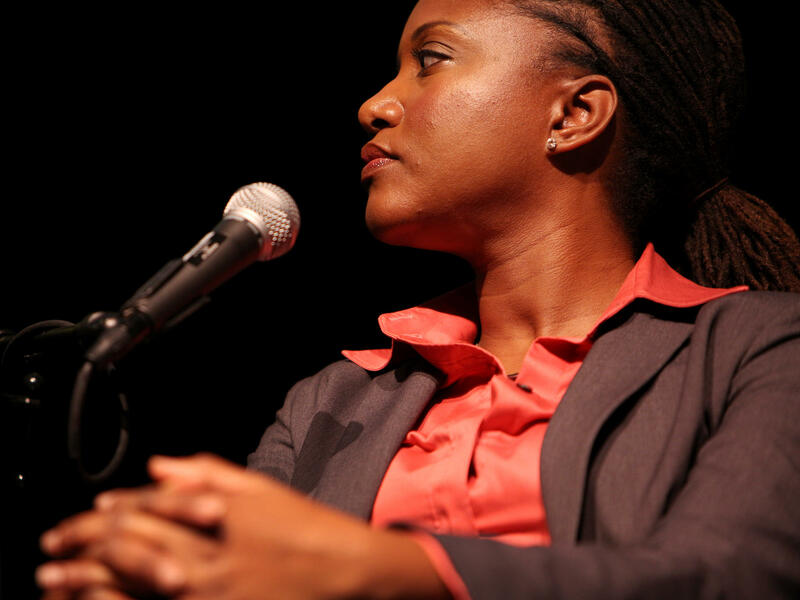 Janai Nelson is the Deputy Director and Associate Counsel of the NAACP Legal Defense and Educational Fund. She talked about how minority communities and low-income Americans are most affected by more restrictive voting laws. "I fear that we're at critical stage in our current history where we risk turning back the hands on the clock and going back to a time where we are - for a variety of reasons - restricting the people who can vote in this country," she said. RACHEL MARTIN: On this election week, we're going to focus now on one state trying to navigate its way through a bevy of new voting laws. North Carolina is one of many states to pass new laws tightening requirements for casting a ballot. Supporters say the statutes cut down on fraud. Critics counter that they create unfair obstacles that actually keep some people from voting. 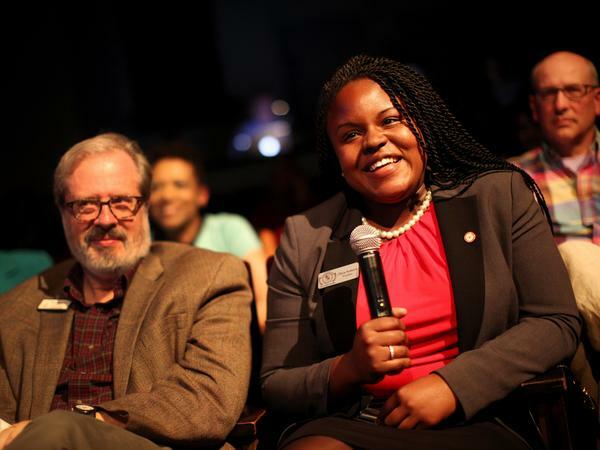 NPR's Michel Martin went to North Carolina recently where she hosted a panel with our member station WFAE about the changes in the voting laws there. In addition to stricter voting ID requirements, Michel points out that there are other controversial measures being put into place. MICHEL MARTIN: Among them are rules that reduce the number of early voting days, although the number of hours remains the same. Same-day registration has been eliminated and a number of polling places have either been closed or moved. So critics of these measures say this is exactly the kind of thing that suppresses the vote. But supporters of these measures adamantly disagree. For example, here is Hans von Spakovsky. He was one of the guests at our forum. He's a former member of the Federal Election Commission. He's connected now to a conservative think tank called The Heritage Foundation. And he says that it is absolutely not true that these kinds of measures keep people from voting. HANS VON SPAKOVSKY: The Census Bureau does a survey of nonvoters. And the biggest reason people don't vote has nothing to do with procedural issues, you how - how you register. But the biggest reasons people say they don't vote is because they're not interested in politics, and they don't think their vote will make a difference. And they don't think that the candidates will really do anything for them. M. MARTIN: Now as you might imagine, critics of these laws vehemently disagree with that. And we also spoke with Janai Nelson. She's deputy director of the NAACP Legal Defense and Education Fund. That's a prominent civil rights organization that has been litigating over matters like this for decades now. And this is what she said. DEPUTY DIRECTOR JANAI NELSON: I fear that we're at a critical stage in our current history where we risk turning back the hands on the clock and going back to a time where we are, for a variety of reasons, restricting the people who can vote in this country. R. MARTIN: I mean, that's quite a statement - turning back the hands on the clock when it comes to civil rights in this country. M. MARTIN: It is, and I have to tell you that it is a view that is widely shared by many, many people, but not by all. For example, we also met with a woman named Dr. Ada Fisher. She is a medical doctor. She is also a Republican National Committee woman. She has a different perspective, and I think it's also worth pointing out, she's also African-American. This is what she had to say. DR. ADA FISHER: And I get kind of angry and resentful of people who say that this voter ID law is a way to keep people from voting. Last time I read the constitution, it says only citizens can vote. And there's nothing in the Constitution that says that we should not require citizens to prove that they're citizens to vote. R. MARTIN: So it's clear that this is obviously really controversial. In this community in particular, there are all kinds of different opinions. M. MARTIN: Well, you know, it's true. Normally, when you talk about things like administrative process, it's something that people tune out on and consider boring, but this issue has really brought these issues to the forum. Another person we heard from was a man named Charles Jones. He's 77 years old and was one of the people who was a civil rights activist mainly involved with registering people to vote. And he told a very moving and powerful story of having, you know, the sheriff, who was also a member of the Klan come and break up meetings where they were trying to register people to vote. R. MARTIN: So this is the context of this debate. This is the historical context. And any law that's put on the books that makes voting more difficult is controversial. M. MARTIN: Well, for some people, as you heard from Dr. Fisher, this is just common sense. I mean, if you have to show a driver's license to buy medicine or some over-the-counter medicine, why shouldn't you have to show, you know, identification to do something as important as voting. But for other people, this really harkens back to a very ugly period in our history where people were deliberately kept from voting, often for reasons of race, and that this was done, you know, violently and maliciously. And for some people, this clearly harkens back to that period. It is a very polarizing issue. It's not boring anymore, Rachel. If you want more information about that event that took place in Charlotte, North Carolina, go to our website for highlights. You can add your thoughts about election reform and voting rights on Twitter and Facebook. Use the hashtag #NPRMichel. That is M-I-C-H-E-L. Michel Martin, thanks so much for talking with us. M. MARTIN: Thank you, Rachel. Transcript provided by NPR, Copyright NPR.